Get your new website for half off for the first year! We like to give back to the community, and society, as we can. So we volunteer on various boards, sponsor children in Malawi, and also make available a limited number of discounted websites each year for 501(c) organizations. 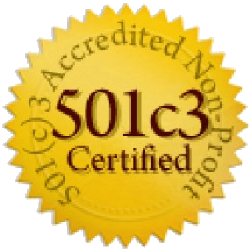 Other non-501(C) organiozations are also eligible for consideration. If your organization is in need of a new, or revamped, website, and you fit the criteria below, please complete the application form for consideration. There is no reduction in services just because you're getting a great deal! Payments can be made by a debit or a credit card. The first payment of 1/2 of a full year is payable immediately. The second payment of 1/2 of a full year is due 6 months later. Other standard terms and conditions apply where applicable. We reserve the right to accept or reject applications. Reasons for acceptance or rejection will not be given, but you will be notified within 72 hours of your fully completed application being received. Organizations that have been rejected may apply again in the next calendar year. An organization will be granted discounted rates only once.